Two openings at the level of postdoctoral research fellows in computational sciences are available at the Research Center of Applied Sciences (RCAS), Academia Sinica, Nankang, Taipei, Taiwan. The theory group in RCAS is carrying on a joint project for the development of multi-scale simulation tools. The goal is to integrate the electronic, transport, optical, mechanic properties into a software package suitable for the simulation at the level of devices (or a certain size of molecular structures). The main duty of the job is to develop and integrate various codes in different areas of physics/engineering together for comprehensive modeling. Ab inito computations in schemes such as density-functional theory (DFT) or similar approaches. The potential candidates must have an extensive numerical coding experience in one of the areas mentioned above, and the knowledge of linux-based environment. Candidates with experiences in parallel programming may be given priority. The appointments are for one year and renewable if there is good progress. 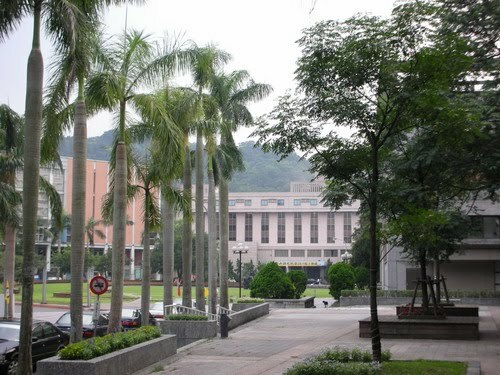 The potential candidate shall e-mail his/her curriculum vitae and three representative publications to Dr. Shu-Wei Chang (e-mail: swchang@gate.sinica.edu.tw). Please set the title of e-mail as “Application to Post Doc Position in RCAS-Joint Project in Computation.” Qualified candidates will be further contacted (by e-mail or phone) for an interview, and reference letters may be requested. Demikian kami sampaikan tentang Postdoctoral Position, Research Center of Applied Sciences (RCAS), Academia Sinica, Taiwan semoga informasi tentang Postdoctoral Position, Research Center of Applied Sciences (RCAS), Academia Sinica, Taiwan ini bermanfaat.